Any long-term reader of this blog will know that I’m always on the hunt for bourbon that brings truth to the “bourbon is good value” adage. So far, I’ve mostly found that bourbon is cheaper than single-malt scotch and tastes like it. It’s usually too sweet, too rough, or too plastic-tasting for me – often conjuring what I call “High-Fructose Corn Syrup” flavors, or more accurately, the flavor of cheap synthetic candy. When I do find a good bourbon, it’s impossible to acquire, just as expensive as single-malt, or not available in my state. Buffalo Trace, a stalwart in the big bourbon game, has also become known as the purveyor of the best limited-edition bourbon in the country. The Buffalo Trace Antique Collection or BTAC is an annual Easter Egg hunt for allocated bottles that mostly end up selling via raffle, just like Pappy Van Winkle bourbon, which is also now made by Buffalo Trace. Buffalo Trace’s parent company, Sazerac, is the largest distilling company in the United States, and makes a dizzying array of liquor including the Barton brand of bourbons, Sazerac Rye (duh), Eagle Rare, Blanton’s Bourbon, E.H. Taylor, Stagg, A. Smith Bowman, Regan’s Orange Bitters, Peychaud’s Bitters, Caribou Crossing, Fireball “Whisky”, 99 Bananas, Rain Vodka, Corazon Tequila, Highland Mist, and a slew of other liquor products. Buffalo Trace’s namesake bourbon is bottled at 45% ABV and comes from a low-rye mash bill (probably only 10% rye to 90% corn), which is also used to make the Eagle Rare and Stagg bourbons. Despite its low rye content, Buffalo Trace is pretty close to my ideal flavor profile. It’s slightly spicy, slightly woody, and not too sweet. This makes it good for sipping, on the rocks, or in cocktails. However, I should point out that the bourbon-based cocktails that have really made me sit up and pay attention are usually made with higher-proof bourbon, of at least 50% ABV. That relegates Buffalo Trace (despite its sip-ability) to the everyday cocktail ingredient shelf. 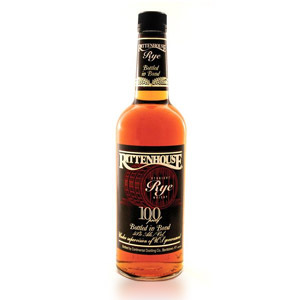 Its price and flavor profile, however, make it my current house bourbon and unlikely to be supplanted any time soon. It’s pretty hard to beat the combination of bottom-shelf price, mid-shelf quality, and top-shelf balance. Nose: Compared to some bourbons, the nose is wood-forward and tannic – almost vinegary – with sweet caramel notes in the background. Hazelnuts and almonds, turning to vanilla after a few moments of rest in the glass. Dusty spices, mild charcoal, dry cornmeal. Palate: Slightly tart, soon turning malty with marshmallow and cocoa nibs. Not cloyingly sweet, but with a fine balance of wood, sugar, and tartness. Finish: Warming and of medium length. A reprise of the aroma, predominantly nut skins and smoldering charcoal. Fading with vanilla bean and cinnamon. With Water: A few drops of water awaken a familiar “candy corn” note that luckily isn’t too plastic/fake/corn syrupy. On the palate, it retains its flavor but pops a little more. I highly recommend a little water with this one, and you shouldn’t feel bad about dropping in an ice cube once in awhile, either. Overall: I like a bourbon that doesn’t make your eyes water with sweetness, but also doesn’t go fully grassy (like Jim Beam). Buffalo Trace is probably the most well-balanced bourbon I’ve had in this price range, and happens to strike my personal preferences in bourbon. It makes a mean Old Fashioned too, of course. This will continue to be my house bourbon for the forseeable future. As much as a bourbon Old Fashioned had been bypassed by the craft cocktail scene of late (and then suddenly became wildly popular again but now… you know… it’s “craft”), something about sitting back with an inoffensive… Ok, I’ll say it… smooth bourbon over ice with bitters and sugar makes me feel like a Southern gentleman in a white suit, rocking away the afternoon on my front porch. Somehow I look like the KFC Colonel in this vignette… but you get the idea. Also, there’s nothing simpler than assembling an Old Fashioned when you can’t be bothered to break out the shaker or strainer. The only Bourbon I have ever purchased twice. I live in the UK. I’ve tried five scotch whiskys, one brandy & one premium rum in search of a good honest drink. Buffalo Trace bourbon fits the bill perfectly. 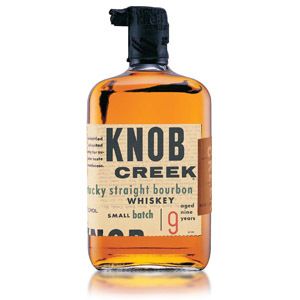 I will be buying this fine bourbon as my main drink for the foreseeable future. Ten out of ten. Buffalo Trace is currently retailing in the UK for around £20 and beats the standard Jack Daniels and Jim Beam hands down. I think its great loads off raisins and dried fruit in the nose and taste. The first paragraph of your review says it all for me. I to prefer Scotch Whisky over bourbon because of the sweetness and lack of complexity. I would love to find something that I enjoy as much as a good single malt but at half the price. 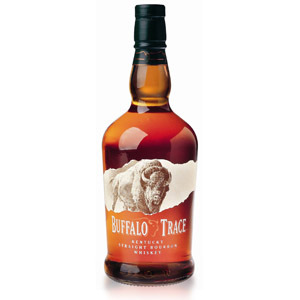 Buffalo Trace is the best tasting bourbon I have found in its price range. I like it neat for sipping and the other half likes it in a whiskey sour. I keep a bottle on hand for myself but mostly for friends. BT is the only bourbon that I have repeatedly purchased. I also like Elijah Craig 12, Four Roses small & single barrel, Angel’s Envy and Rittenhouse Rye BIB. Glad to see BT is available in the UK, it is much better than most of the other American whiskies sent over. Thanks for the recommendation! I actually have a bottle of this unopened that I’ll be doing an upcoming review on. Cheers! You will be SO happy when you do open it! 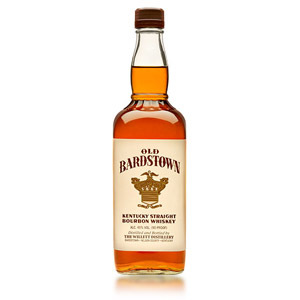 It is a very smooth and elegant bourbon without the huge price tag. Too bad it’s very hard to find where I live. Cheers! Out with the GCRV gang in Superior, AZ. Got a large amount of Buffalo Trace for $5!! What a deal and very good. Thanks Noob! Been on a American whisk(e)y kick for a while. Buffalo Trace is right up there with Elijah Craig 12 yr, Evan Williams Single Barrel, and the Tennessee whisky George Dickel No 12…Fantastic, and very inexpensive. As a Scotch whisky drinker who is a little peeved with the recent price hikes that have pushed most of my favorite whiskies into the $50+ range, I too have been looking out for a substitute in the $20 to $30 range and this hits the nail right on the head. None of the sickly-sweet notes that most/many bourbons are known for. Just really nice and smooth with mild oak, hint of nuts, some fruits, chocolate and toffee flavors followed by a satisfying finish — perfect for sipping. I would definitely recommend Buffalo Trace to any Scotch drinker looking for a daily dram that’s easy on the pocket. 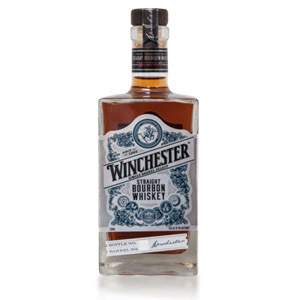 The perfect bourbon for Scotch drinkers? No, not perfect, but certainly the closest I’ve found so far. As a self-proclaimed ‘scotch snob’ I grew weary of seeing the quality of many single malts begin to drop, the prices rising, and of course the increasing number of ‘NAS’ whisky. Cut to the chase – I decided to give my fellow Americans a try to earn my hard earned dollar; Buffalo Trace (along with a few other bourbons/Tennessee whisky) has given me every reason not to buy single malt scotch. Ok… I don’t know if I bought the wrong bottle or what…. but as a Scotch drinker (highland park being my go to), I too was looking for something less expensive and comparable in the bourbon world and based on this review, picked up buffalo trace. Yuck! The nose was all nail polish remover and the taste was an unpleasant synthetic tasting sweet goo dumped in nail polish. I’m not sure what everyone else is tasting but if BT is a good representation of bourbon I will happily plunk down the extra money and stick with Scotch…. That does sound unusual, I’ve never had Buffalo Trace taste like nail polish remover (although I have had much cheaper bourbons – and scotches – taste like that). You could try again – pour a glass an let it rest for a few minutes and then taste again. You could also try returning it to your liquor store for another bottle, depending on their return policy. Maybe I’m just too scotch entrenched and need to step back and try it again like you said. But man did not like it at all first go ’round! Ignored BT for years until I received a holiday gift bottle. Blown away by the balance. Like you said, its the absence of the typical bourbon flaws that is so remarkable. And it is remarkable, this is the best bourbon I’ve had in years. I was never so impressed with BT before but batch variation is a factor. AND.. it’s made with non-GMO corn. Very important! BT is the best sippin’ bourbon for the money and, yes, makes the best Old Fashioned. Also I like the Eagle Rare 10 year and has some of the same characteristic citrus/orange note. ER shares the exact same mashbill as BT. I still like BT better but also keep ER on hand when mood strikes.